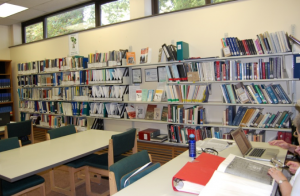 The Wellington County Branch family history collection is located in the Guelph Public Library (GPL) at 100 Norfolk Street and is available for research during normal library hours. Please consult the GPL website for operating hours. You will find our branch collection located in the northwest corner of the main floor, adjacent to the library’s family history section. The branch’s extensive collection includes resources related to Wellington County, adjacent counties, other areas in Ontario and the Canadian provinces as well as the United States, England, Ireland, Northern Ireland, Scotland, Australia, Germany and Italy. The collection consists of books, pamphlets, family histories, cemetery transcriptions, directories, local histories, church histories, baptismal records, pedigree charts, indexes such as the birth, marriage and death index to the Guelph Mercury, and biographies of early pioneers. The collection also includes a number of “how to” books on researching your family tree, conducting oral interviews, searching online resources and writing your family’s history. Newsletters received from other OGS branches and provincial genealogical societies are also available in the branch section. Our collection currently includes almost 800 titles and will be doubling in the near future due to the generous donation of the Ferguson Collection. To search the Wellington County Branch collection, simply access the Guelph Public Library’s main page and click on the search button. Type in “Ontario Genealogical Society” and press “search”. All of the catalogued titles will come up in this search. If you would like to limit your search by a geographic area or by an author or title, simply add this information to your search. For example, type “Ontario Genealogical Society Scotland” or “Ontario Genealogical Society McKinnie”. The branch also works in partnership with the Guelph Public Library in offering family history workshops which highlight the resources available through our collections and provide useful information in conducting genealogical research. Be sure to check our events page and the Guelph Public Library events page for upcoming sessions.